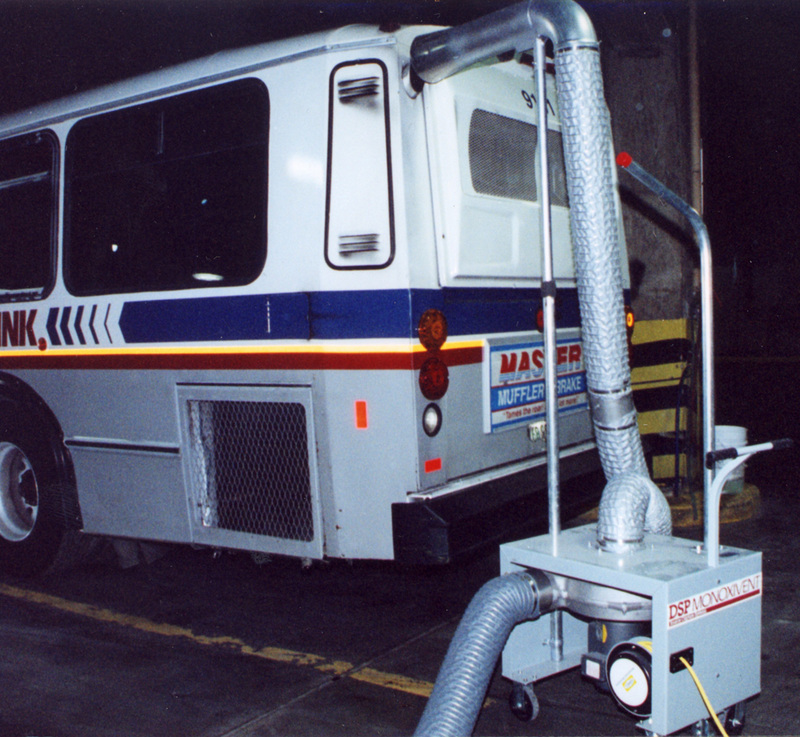 The Portable Fume ELIMINATOR was developed for use in shops where a conventional overhead or under-floor exhaust system is not practical. 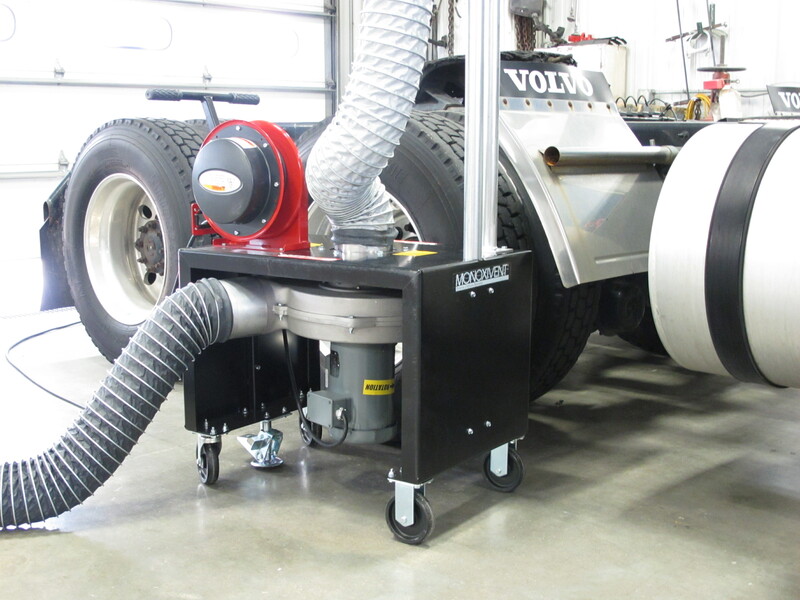 It is ideal for truck, bus, agricultural and construction equipment applications that require fume extraction.The ELIMINATOR is a compact, self-contained portable exhaust system. 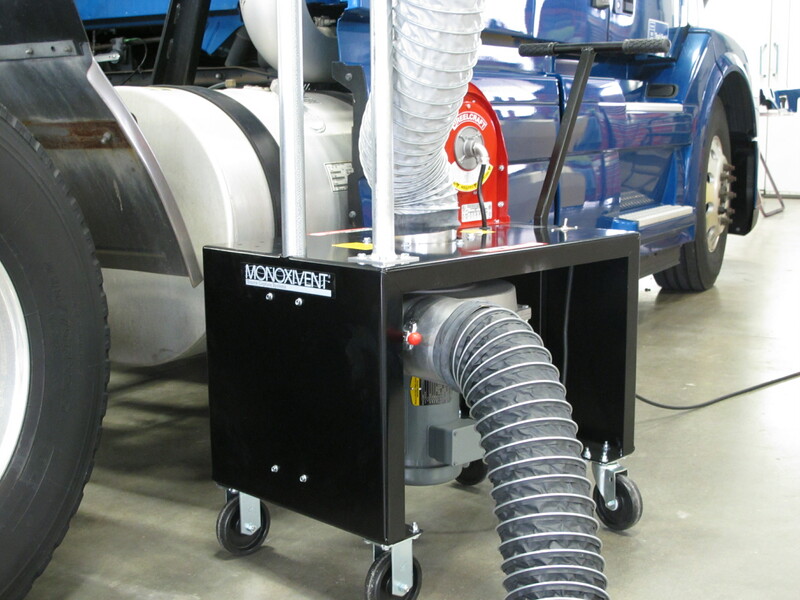 The compact base with a footprint of 20” x 28” makes storing the Portable Fume ELIMINATOR easy. Depending on the model, the vertical mast has a stored height of 90” or 120”. The adjustable mast can be easily raised or lowered to fit all top and mid-body exhaust pipes. For under chassis, simply uncouple the hose on the vertical mast and couple it to an under chassis clamping nozzle. For truck applications, the main vertical stack features a 45-degree end with an 8” opening. The configuration allows for use with straight, taper cut, turn out, and rain cap vertical stacks. 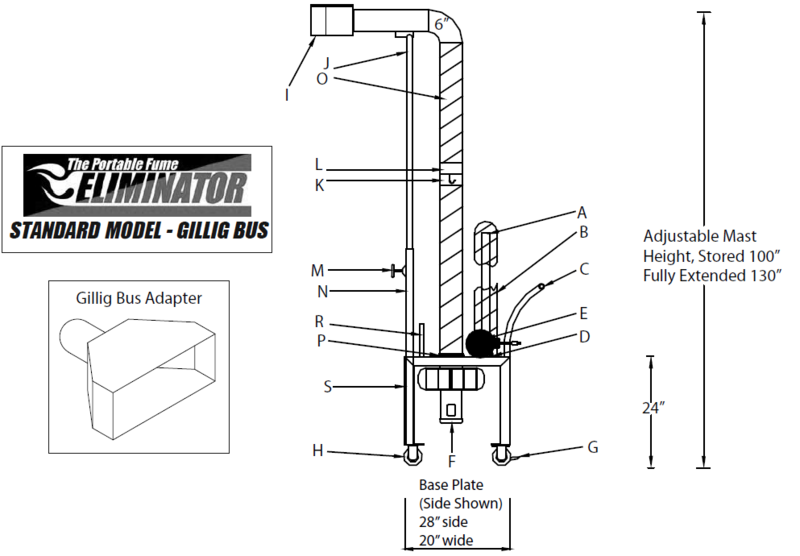 For bus applications, or for vehicles with a high horizontal exit exhaust pipe, the ELIMINATOR features a straight end with an 8” mouth. The fan is a 1.5-HP, 120-volt, single-phase unit, which produces approximately 700-800 CFM of exhaust. 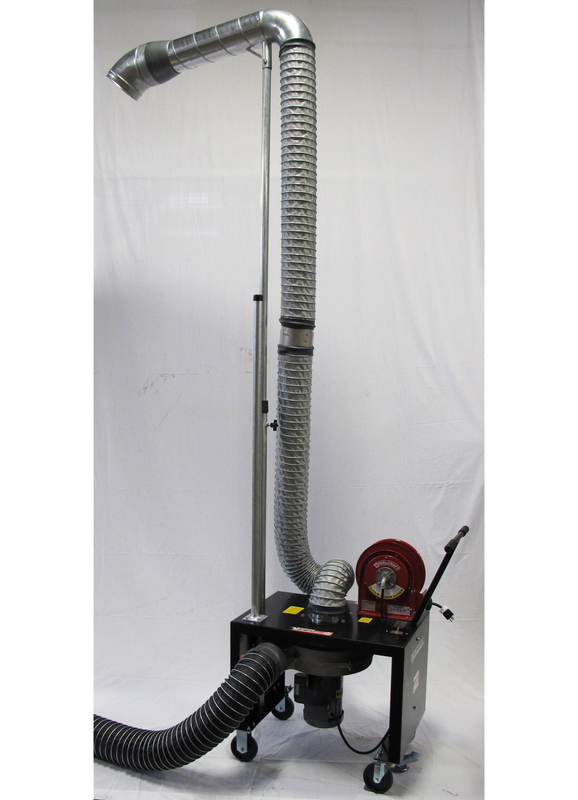 The discharge hose is available with a single hose storage mast.